For thousands of years, humans have believed that there were once flying monsters. Such creatures became mythologized, with stories about them shared around the world. But could they have really existed? About 220 million years ago dinosaurs were on the rise to dominating the Earth. But another group of reptiles was about to make an extraordinary leap—control of the skies. They were the pterosaurs—after insects, the first animals ever to fly. The story of how and why these mysterious creatures took to the air is more fantastical than any fiction. 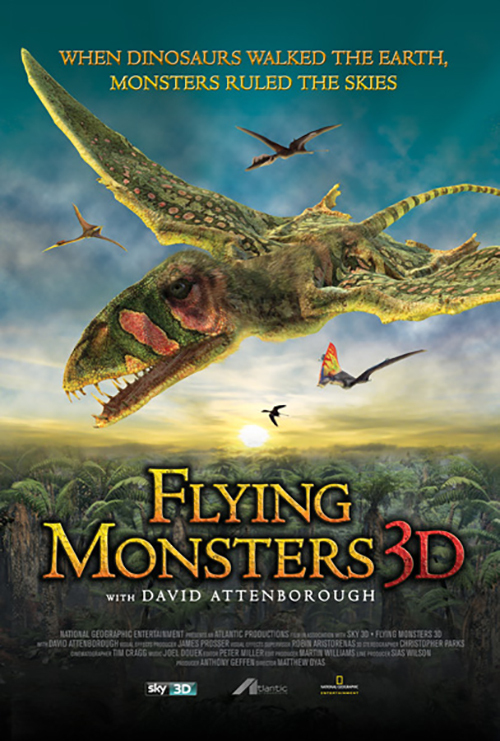 Flying Monsters 3D is a groundbreaking film that uses cutting-edge 3-D filming technology and 3-D CGI to bring the story of giant flying monsters and their prehistoric world to life for audiences around the world.